I liked the match, but I thought the ending was a little lacking. Tyler Breeze looked very good and worked over Crews’ leg very convincingly. Crews sold the leg well, and I like the idea that Crews’ inexperience was leading him to rely on moves that kept hurting his own leg. I thought it was a very good foundation for a good match, but in the end the leg injury didn’t even matter. It was a frustrating ending to an otherwise very nice match. From RAW, Reigns defends his new US title against Rusev. Not a great match. It was slow and a little long for what it attempted to accomplish. From RAW, Enzo and Cass take on Jericho and Owens. 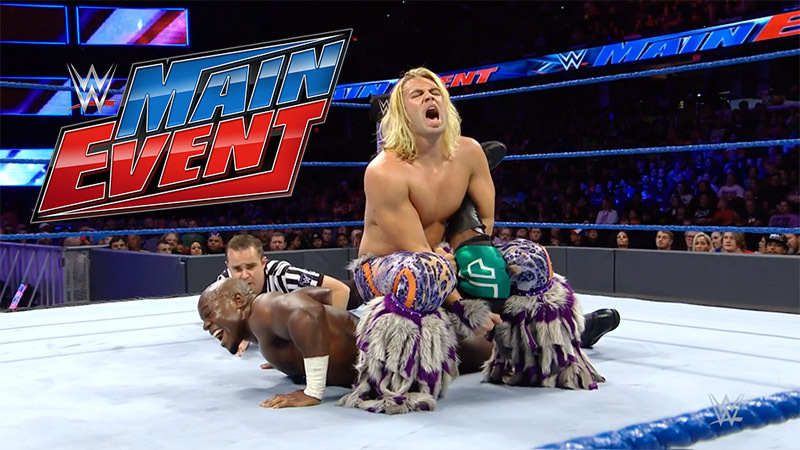 Despite a promising first match, this was kind of a forgettable episode of Main Event. I would like to see Crews versus Breeze again though. Better actions, better psychology, and even though I was disappointed with the ending, the ending of this match was better than the ending of the Corbin/Kane match.